If you’re in need of a self-storage facility, it’s important to research pricing, location, amenities, and sizes. In addition, knowing which security features the facility offers should be one of your highest priorities. You have worked hard for what you have, and your personal belongings deserve to be kept safe and secure, no matter what. 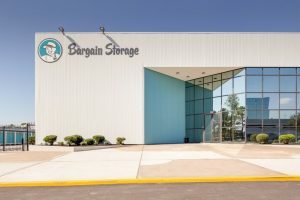 We take the safety and security of the items you’ve chosen to store at Bargain Storage seriously and are committed to keeping each facility secure. 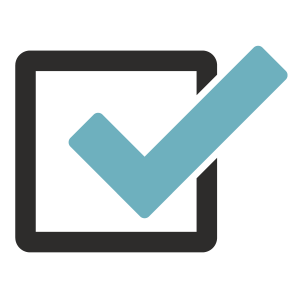 Here, our professionals will provide the information you need to make an informed decision. What type of security features should you look for? From the very get go, you should feel confident your belongings will be safe. Some things you should look for are if the entryway is gated with a secure password or keypad code. Also, make sure video cameras have been installed, the site and units are well-lit, and the facility is clean and well-maintained. Another thing to take note of is the landscaping; shrubs, grass, and bushes should be well maintained and not obscuring views. How do you feel visiting your self-storage unit? Yes, it’s important your items are safe, but you should feel safe as well! You shouldn’t feel uncomfortable when visiting your storage unit, regardless the time of day. Be aware of your surroundings and do not let anyone follow you through the front gate or into your unit. If someone is acting peculiar, or you notice any suspicious activity, report it immediately. There should be no loitering around any facility at any time. Video recording: We utilize a state-of-the-art 24-hour surveillance video system that effectively tracks activity throughout each facility. Personal ID entry system: To gain access to the site or a storage facility, each person must enter unique personal identification at the gate. If this is not entered, the gate remains locked and entry is denied. Fully-fenced perimeter: In addition to a secure front gate requiring a personal identification number, our facilities are fully fenced. This offers an additional layer of protection for the units. On-site manager: Our resident management teams are familiar with the layout of each facility in detail. They are trained to stay alert for various activities that may look out of place or suspicious. Looking for affordable and secure self-storage units? You can trust Bargain Storage to keep your personal items protected and secure. We provide a variety of affordable self-storage options! Learn more about our self-storage facilities in Texas and Arizona.